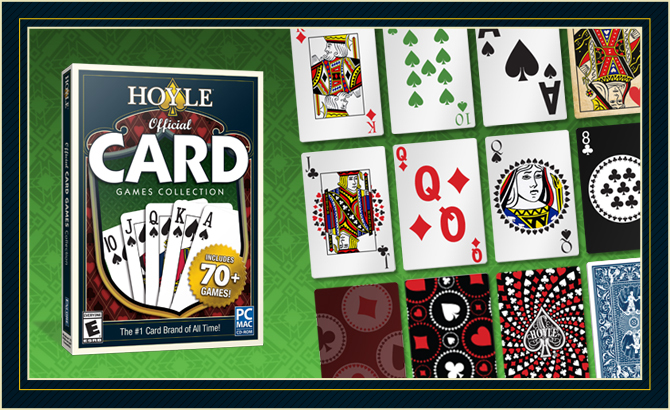 The Hoyle® Official Card Games Collection 2015 includes plenty of favourites, including Solitaire, Hearts, Bridge, Euchre, Rummy and Blackjack. This new collection also features several games not found in earlier editions, such as Fan Tan, Oh Hell and Whist, making a total of over 70 games. In addition, the set includes the official rules for the games (which are also available online here), as well as tips and strategies, allowing you to easily try out and learn new games. All this comes at a very reasonable price. Separate versions are available for Windows® (including Windows® 10) or Mac® OS X. There are options for choosing various styles of deck, backs, background, music, speed of play and so on, including customising what you and your opponent(s) look like although, to be honest, the characters are a bit stiff and unnatural. Fortunately the music can be turned off as it becomes a distraction from thinking. 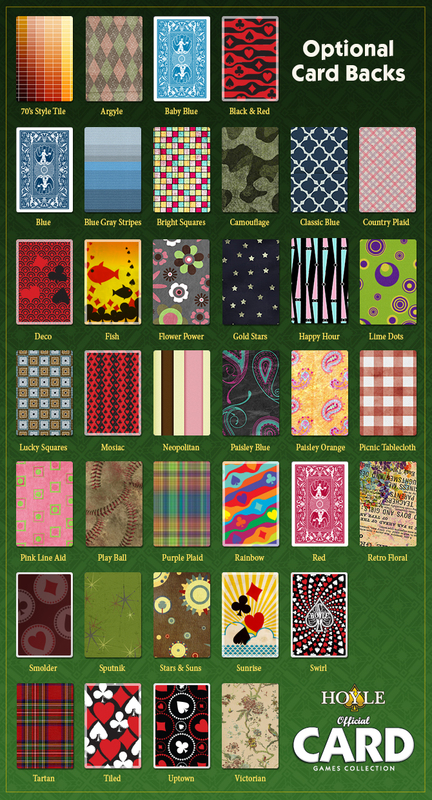 New features, such as background patterns, are unlocked as you continue playing. Depending on your computer screen settings, some options are easier on the eye than others, but overall the graphics could be better animated.